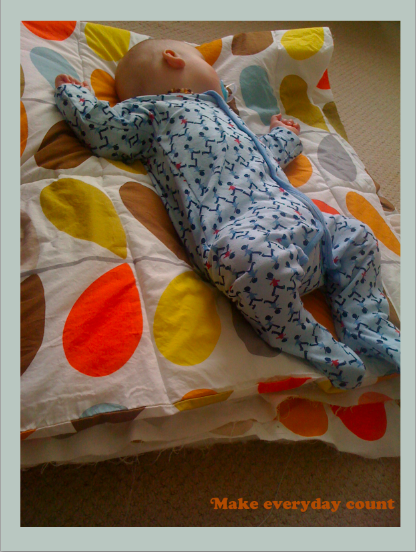 Sleeping on the unfinished quilt that's folded. 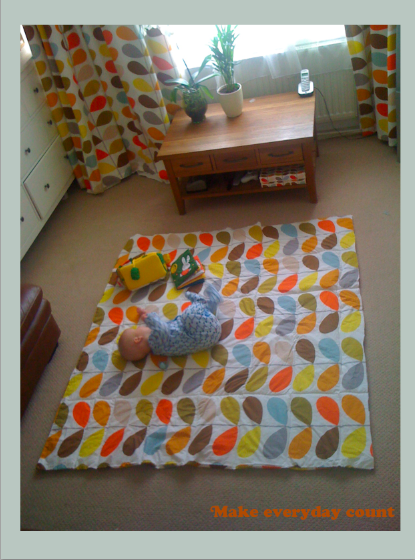 I decided that my new baby Boy needed a playmat, the ones I had seen were so unsuitable it was untrue. 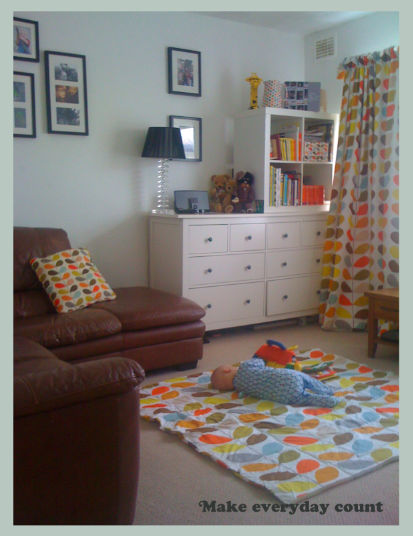 My quilt has the opposite to all above, it's Orla Kiely bed cotton, is thick and bouncy from the way i've quilted it, and it looks great in our Living room, not sure about the latter, as it needs Bias and i've not washed it yet!